These sturdy metal stands feature chrome inlay accents, for a stylish flair. Use the stands to place your PLAY:1 speakers on a desktop, nightstand, bookshelf, or kitchen counter, while taking up as little space as possible. 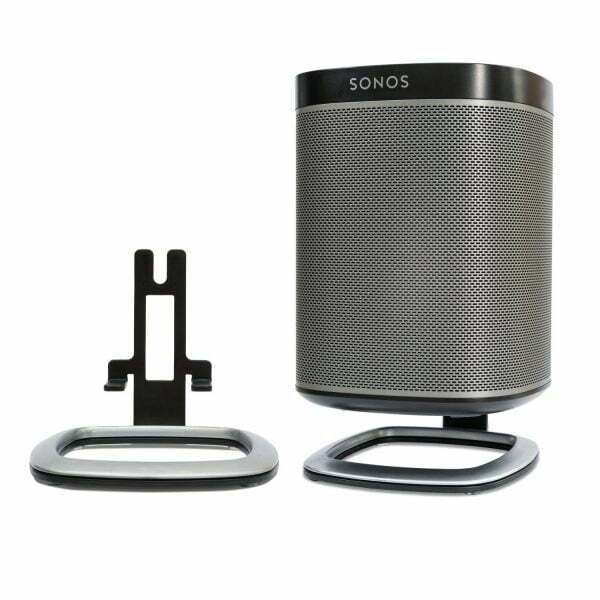 The stands angle the speakers upwards for better clarity when placed on a desk or counter.